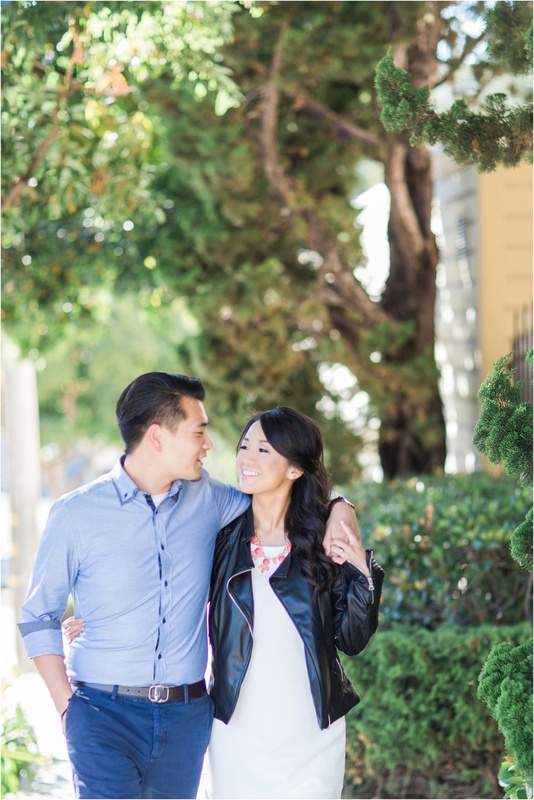 I recently had the opportunity to photograph my future bride and groom, Helen and David's engagement session featuring their favorite city, San Francisco! Our first stop was at the top of Potrero Hill. 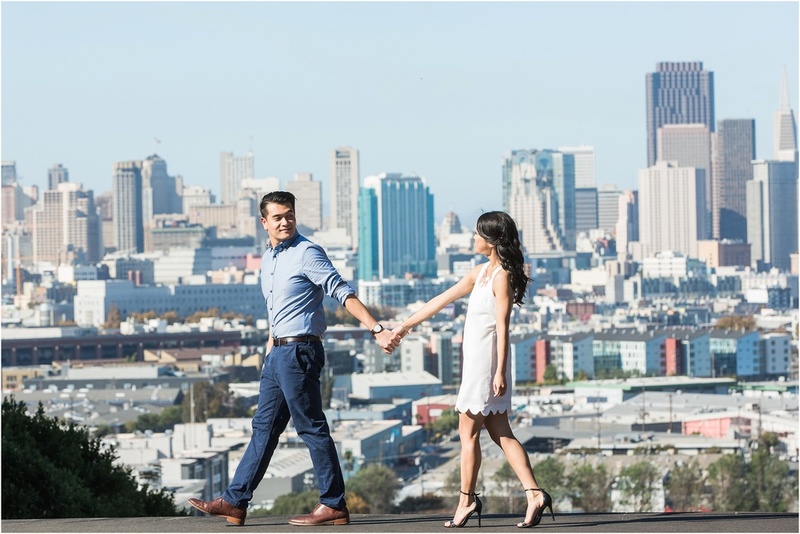 With perfect weather and a beautiful clear sky, we were able to include that famous view of Downtown San Francisco to capture the full essence of the city. From there we headed to Lands End where the constant weather changes blessed us with both fog AND a clear sunset, giving us the most beautiful light beams through the trees. Helen and David are such a stunning couple, no matter where I photographed them, it was breath taking. They even brought along their adorable fur-baby, Penny, to be a part of the session! Talk about an adorable family-to-be!